Ukraine is among the least energy-efficient countries in Europe. Its economy is two to three times more energy intensive than that of its EU neighbors – Poland and Slovakia. While Ukraine’s energy industry accounts for about 12.6 percent of its gross domestic product, its energy intensity is wobbling. This obviously causes a huge headwind that has negative repercussions on the country’s national welfare, economic growth and job creation. Overall, it renders the country vulnerable to political influences from energy supplies. Energy is at the core of every country’s economic health and thus, by extension, also its social and political well-being. A well-functioning energy sector is essential to economic and national security – therefore, reforming Ukraine’s energy sector is crucial. An important question, however, is whether Ukraine is capable of finishing this reform on its own. To Kiev’s credit, almost each element of Ukraine’s energy sector – energy efficiency, regulatory framework, the electricity market and the gas market – is in flux and some important achievements have been attained. Nevertheless, achieving a full transformation of Ukraine’s energy sector from being a drag on the country’s economy into a positive and empowering force will require both well-set-up plans and bold implementation framework that can be sustained in the long run. Proceeding without due preparation can pose a risk to the market structure while introduced regulations can backfire. However, proceeding with too much deliberation might allow opponents to gather their political forces and obstruct needed reform struggle. The challenge for Ukraine, therefore, is to navigate between these two poles. At the core of any strategy, though, is the unbundling of Ukraine’s energy giant Naftogaz, the improvement of the regulatory processes and the establishment of a professional and impartial transmission system operator on the basis of the EU legislation. New investment to support the modernization of the whole system will also be needed. This also includes an agreement on the foreign management of Ukraine’s gas transit system, which may be reached in the third quarter of this year. For Ukraine to continue functioning as a focal point of the gas transit of Russian gas to Europe, Kiev must commit to operating and managing its gas transit system efficiently and transparently. Naftogaz subsidiary Ukrtransgaz has strategic assets that have become the foundation for this outcome – East-West transit capacity of 140 bcm per year and roughly 15 bcm of available underground gas storage. Ukraine has undeniably intensified many of its energy sector reforms in the wake of Russia’s invasion and annexation of Crimea. Yet, these still remain unfinished. The risk for the country today is that Kiev will not finalize its energy reform agenda. This risk is even more profound given the fact that difficult decision and policy making gets crowded out by politically expedient moves in the run-up to the 2019 elections. However, if the country succeeds, it will enter a new period in which new, faster economic opportunity and growth will be within reach. While this is no easy choice, it is one the country needs to make for itself. 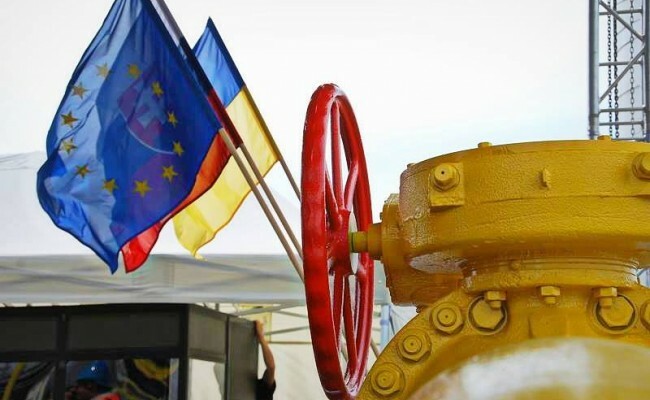 ‘Reforming Ukraine’s Energy Sector: Critical Unfinished Business’ – Study by A.Antonenko, R.Nitsovich, O.Pavlenko and K.Takac – Carnegie Europe.